A wingless fairy. A plot against the kingdom of fairies. A destiny unknown. Alayna the wingless fairy must set off on a quest where magic is key, and heroes emerge. From The Dust. 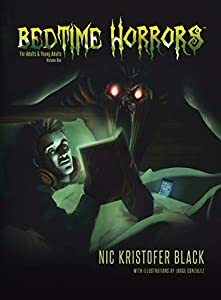 Written for a new generation of fans, Bedtime Horrors is the first volume of a unique collection of dark stories, served with a twist and delivered in exactly one page. From author Nic Kristofer Black and illustrated by Jorge Gonzalez, the collection is written for the 140 character, web surfing, binge watching, Snapchat generation. Perfect for the short attention span, each tale is exactly 1000 words in length – easily readable in the time it takes to watch a YouTube video. And because ‘a picture is worth a thousand words’ every story is graced with chillingly illustrated artwork. From mindless zombies to insidious vaporghouls, each work fiendishly drags the reader, kicking and screaming, into its dark, decaying world. Bedtime Horrors transports classic creatures from fog-laden hamlets to contemporary settings and the glare of modern life. 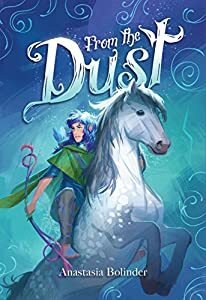 The collection also introduces new creatures, eager to make the reader's acquaintance, with hopes of someday becoming the subject of new tales told around the campfire. Crafted for maximum potency, Bedtime Horrors is a smart and quirky update to the horror genre. The collection is a daily dose of horror, the reason to go to sleep with one eye open and almost worth dying for. 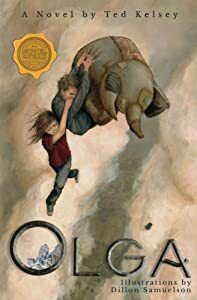 Magic weapons, white tigers, cat-faced moths and giants on motorcycles… OLGA is Ted Kelsey’s captivating first novel and features illustrations by the fine artist and illustrator, Dillon Samuelson. When a mysterious figure is seen floating and dancing in the field near their house, Jack and Sally decide to investigate. This decision will lead them to an exciting place far beyond their imagination, the home of OLGA. Nothing in the clouds is as it appears, and in order to get home safely, Jack and Sally must first learn whom to trust, and find a way to believe in themselves. A story of spirit and imagination that the Online Book Club has described as “interwoven with comedy and deeper emotions of freedom and loneliness”, OLGA will delight readers of all ages. Nessya’s grandmother, Miri Eneman Malz, has friends, a loving family—and a secret: she is a Holocaust survivor. When twelve-year-old Nessya learns the truth, she wants to know what happened. 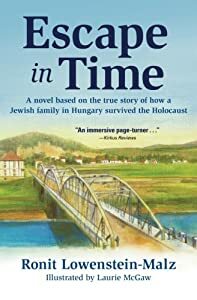 After decades of silence, Grandma Miri decides it’s time to tell her story.It all begins one terrible day in the spring of 1944, when Germany crosses Hungary’s border and soldiers arrive in Miri’s hometown of Munkács. Suddenly, the Jews are trapped and in danger.Surrounded by war and unimaginable hatred, the family makes a daring escape. But that is only the beginning, and over the course of the year new threats continually confront them. Incredibly, despite numerous close calls, they defy the odds and live.Based upon actual memoirs, this is the story of the Eneman family . . . of their remarkable ingenuity, astonishing luck, boundless courage, and unending love. 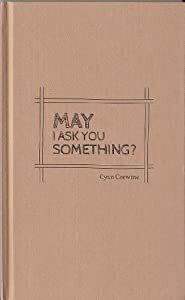 Cyan Corwine's whimsical and contemplative storybook poem May I Ask You Something? follows a young girl as she discovers the necessary balance between joy and hardship. Corwine's poem bobs and weaves playfully, with a tone that reflects the lilting inquisitiveness of a curious child. Her quirky illustrations dance throughout the book, challenging the boundaries of each page, tracking the girl's physical and emotional maturation as she learns embrace the "rainfall" and the painful facts of life. Her questions and emotions are ones we all share: wonder, confusion, frustration, disillusionment, and persistence. Equal parts playful and thought provoking, May I Ask You Something? is a delightful story that will resonate with anyone who's ever had a big question and gone looking for an answer.